We’ve all heard tales of Nazis exploring the southern extremities of the globe and even setting up bases in Neuschwabenland. 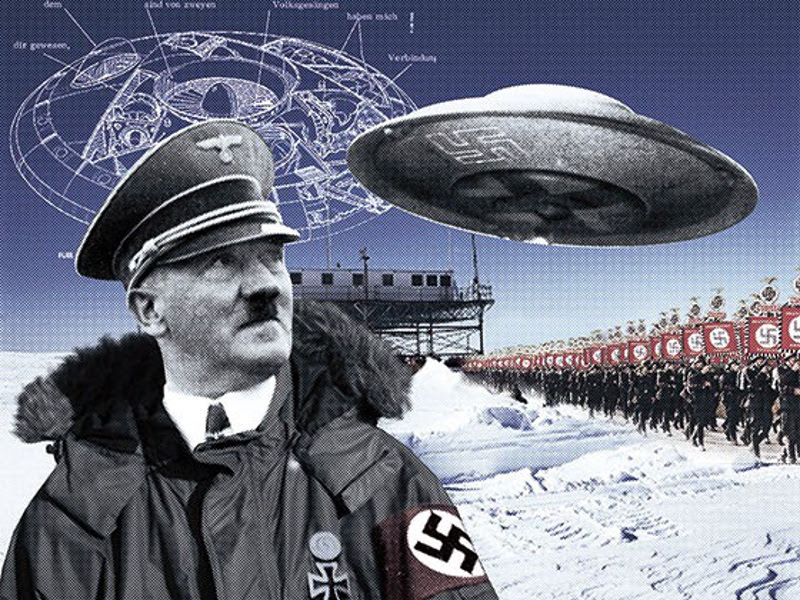 Some have also heard of Operation Highjump and Admiral Byrd’s altercation with entrenched German forces that overpowered them with amazing flying craft. A video (below) has recently surfaced which shows a 1944 map from the Third Reich detailing not only the direct passageway used by German U-boats to access this subterranean domain, but also a complete map of both hemispheres of the inner realm of Agharta! Rodney Cluff on his website has a copy of a letter (with translation) supposedly sent from a Karl Unger that was aboard the U-boat 209 (commanded by Heinrich Brodda) saying that they had reached the inner earth and would not be coming back! If that seems too unbelievable, compare with those maps, this map done by the famed Tyrolean cartographer and artist Heinrich C. Berann for the National Geographic Society beginning in 1966. It clearly shows the continent of Antarctica without its cover of ice. The intriguing detail here is that there are underwater passageways that run nearly the entire length of the continent and seem to converge at the exact location identified as the opening into the hollow earth!